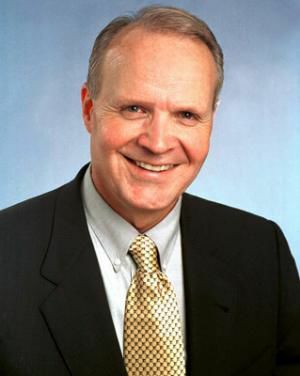 AUSTIN — The University of Texas System Board of Regents selected Larry Faulkner as interim chancellor to fill in William McRaven’s role after his departure in June. McRaven who had led the system since January 2015, announced his plan to step down from the position effective May 31. And while Faulkner is not a candidate for the leadership role, according to a news release announcing his appointment as interim, he will take over June 1 and stay on board until the regents find a permanent replacement. “We are exceptionally honored to have Dr. Faulkner continue his public service at the UT System while we are deeply engaged in the selection of a new permanent chancellor,” said UT System Chairman Sara Martinez Tucker in the release. “He is widely known and respected for his steady hand in higher education leadership and administration, rich knowledge of the UT System and its institutions, and breadth of relationships throughout Texas and the nation. Faulkner led UT Austin as president from 1998 to 2006 and was named president emeritus after his retirement. Prior to assuming the position of president, he also served as chemistry faculty at the University of Illinois at Urbana-Champaign, Harvard University and UT Austin. Former Navy four-star admiral and ninth commander of the U.S. Special Operations Command, McRaven cited health issues as his main reason to step down but expressed interest to remain involved in education. “While I’m on the road to recovery and am grateful to my UT physicians and the good wishes and prayers of our many friends and colleagues, I believe it is time to segue to several other passions in my life that I’d like to experience, and much of that will also involve teaching and writing,” McRaven said in the release.